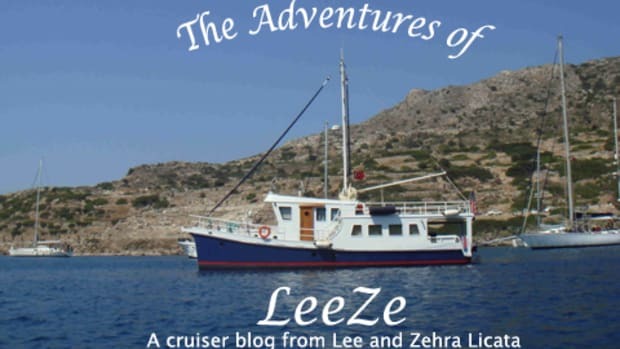 LeeZe is visited by a fire-fighting airplane and Lee and Zehra face a challenging med mooring that could come back to bite them when the wind picks up. Lee, Zehra and their boat LeeZe are put through the trials and runarounds of entering turkey, only to become illegals for a day. 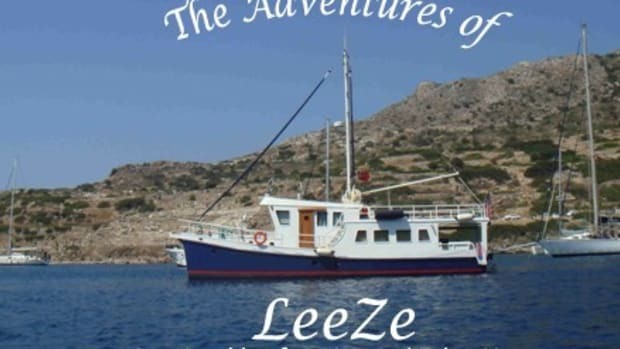 Faced with a spike in marina charges, our Turkish blogger, Lee Licata, decides to install solar panels atop his beloved trawler. Lee and Zeha visit with old friends along the coast only to realize how small the world actually is. Lee also witnesses an exchange between a French and Turkish captain involving police and black water. In a lengthy update, cruiser-blogger Lee Licata battles his ailing generator, gets left adrift in his own tender and experiences a dockside foam party. All in a days work. 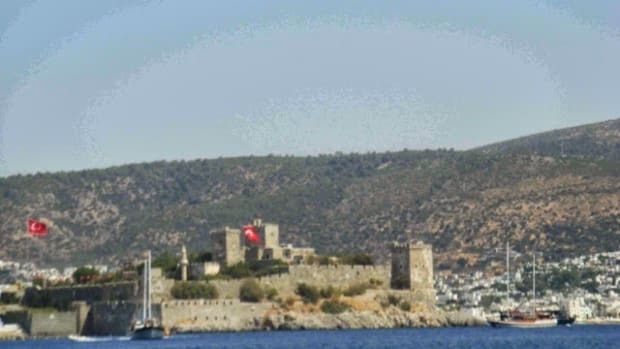 After and whirlwind tour at the end of August Lee and Zehra offer a long, problem-solving update about the end of August on the Turkish coast. Lee and Zehra continue their travels and meet up with some old friends aboard Hitchhiker and Ocra as they make their way from the ruins of Knidos to Karacasogut. 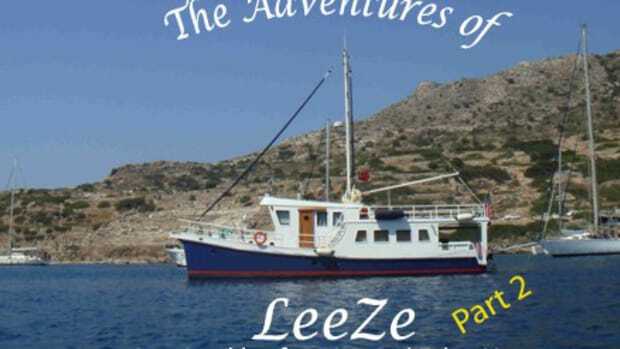 The next step in Leeze's voyage follows the Licata's from August 6th trough the 12th, when they land in Knidos.